Havana, 20 September 2018. 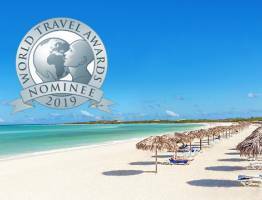 As part of the 22nd MITM Americas tourism fair held in the emblematic Meliá Cohiba, Meliá Hotels International Cuba has presented its latest offerings for the MICE segment. The hotel chain has consolidated its presence on the island by becoming a benchmark for organising events, conferences and incentive groups. With over 70 multipurpose spaces and 11,800 m2 at the 10 destinations it operates, as well as alternative locations at beaches, pools, gardens and terraces, Meliá Cuba offers a wide range of products to ensure social and professional events are a success. The company is also planning new openings and offerings soon. Two large hotels focusing especially on events and incentives will open at the end of the year. 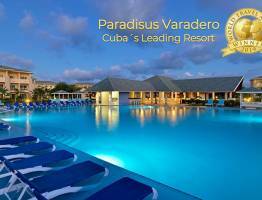 The new Paradisus Los Cayos, the company’s fourth Paradisus but first new-generation hotel in Cuba will open its doors in December. Its MICE segment facilities will turn this hotel and Cayo Santa María into the new hub for major events. 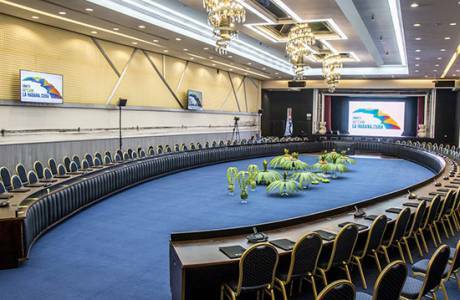 The establishment provides 959 m² for meetings, divided into four areas: 1 large 910 m² ballroom that can hold a total of 910 people in theatre format and 500 in banquet style. There is also a 49 m2 meeting room. 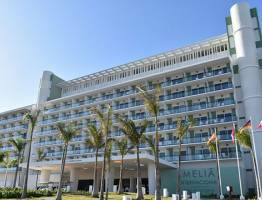 The magnificent Meliá Internacional, focused especially on event tourism, will also open in Varadero at the end of this year. Its exclusive design makes it one of the chain’s most innovative hotels. With a modern conference and convention centre that includes nine spaces for events—seven meeting rooms ranging from 26 to 41 m² and a main room totalling 1039 m² that can hold 1039 people in theatre format and 577 in banquet style—Meliá Internacional has now become the reference for events and meetings in the seaside resort of Varadero. Besides these new hotels, the company will open INNSIDE Camagüey with over 600 m² of multipurpose space as part of its future developments. The Jagua hotel will also be rebranded into INNSIDE Cienfuegos Jagua, which will include a capacity of 350 m² for groups and events. An ambitious refurbishment plan will also be implemented in Meliá Habana to expand MICE facilities in the capital. The plan involves adding a further 168 rooms and creating a modern conference and convention centre. It will have a total events area of 2800 m2, including a 1000 m² ballroom, which can be divided into four multipurpose rooms, and seven event rooms adding 1000 m² more to the hotel’s facilities. It also has large spaces for coffee breaks and alternative locations on terraces and at the pool. The chain’s presence throughout the island and the facilities it offers for business tourism has created synergies between city and holiday destinations and led to the expansion of attractive amenities and combinations for the MICE segment.